Since January, there has been a definite shift in the Denver Real Estate market. Buyers, making the most of the low interest rates and increasing rents, are lining up to buy homes … which aren’t there?? Good priced homes in great condition are moving FAST!! Because of this demand, Sellers are getting their homes sold at the price they want. So the discounted pricing is not really there. So as a Buyer, don’t be discouraged that prices are starting to level, or even increase. 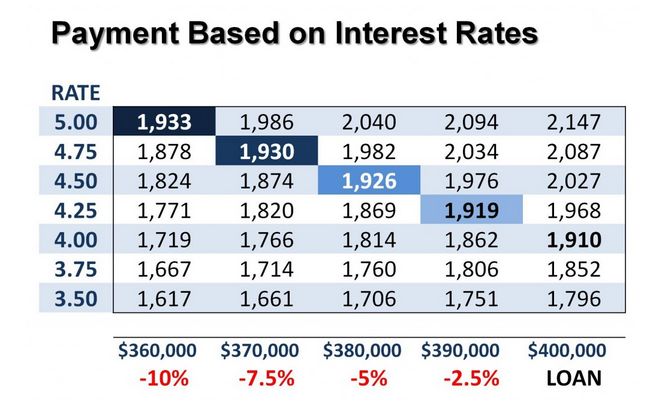 The interest rates are still historically low. But for how long? Economists are predicting that the interest rate could start to increase. This article HERE by Lawrence Yun, Chief Economist, gives reasons why this increase may happen. 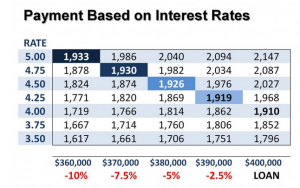 Based on this, if you decided that $1,900 a month was a comfortable payment for you, in today’s market, you could borrow $40k more with the interest rate around 4% than if that rates increases to 5%. So you might feel you haven’t got the deal of the century in terms of the price you pay, but if it means you getting your dream home against the competition for the sake of increasing your offer, your monthly payment will be worth it against today’s current interest rate.